Your home is the most valuable asset you have. Because of this, you need to take the necessary steps to safeguard it from criminals or disasters. One of the best ways to do this is to have a security system installed in your home. This can allow you to live your life and go about your daily activities with the knowledge that your large investment is protected. If you have a family, a security system is even more important for you to install. It can protect your loved ones from fires, along with alerting them that there is an intruder in the house. 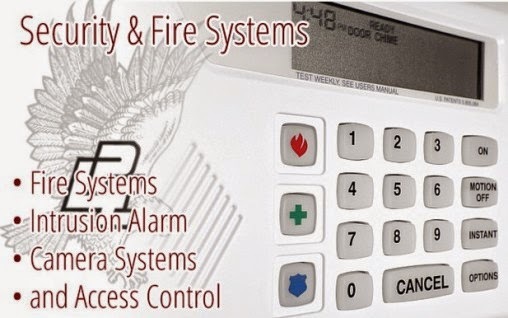 Alarm systems have a multitude of benefits. Here is why security systems are a good idea. By simply placing a sign in your yard saying that your home is protected by a security system, you are letting criminals know that they should proceed at their own risk. In the vast majority of cases, a burglar will see the sign and keep right on walking. After all, why would a burglar take a chance of breaking into your house when there are plenty of other houses that are unprotected? Along with providing alarms for burglaries and disasters, security systems also have many other features. One of the most important of these is the ability to monitor your home from any location. Cameras can be installed outside your home and in strategic locations inside your home. All you need to do is log into your account with your security company. You will then be able to see the interior and exterior of your home in real time. This is a good feature if you have young children who will be unsupervised when they come home from school. You will also be able to spot any suspicious people or vehicles outside your home. Fires can destroy your home in a matter of minutes. Security systems have smoke detectors and heat sensors that can notify your local fire department of a potential fire in your home. Having this feature will protect your home and the people who are living in it. There are also carbon monoxide detectors which can alert you to the presence of this deadly gas that is colorless and odorless. This is a feature that can literally save your life.